GACSA updated its brochure, along with its Strategic Plan 2018-2022 this year. This 2-pager brochure highlights GACSA’s mission, strategic objectives and value proposition, along with more information about the Alliance for current and prospective members. Launched at COP24 by FAO’s Deputy Director General Ms. Maria Helena Semedo. The CSA Sourcebook Summary booklet was launched in English, Spanish and French at COP23 in 2017, this year, the Global Climate Governance and CSA team had the booklet translated into Arabic and printed for upcoming CSA trainings in the MENA region in 2019. This publication explores concepts, evidence and options for a climate smart approach to improving the performance of irrigated cropping systems. PRETORIA. 1 March 2019 - The Board of Governors of the Food, Agriculture, and Natural Resources Policy Analysis Network (FANRPAN) is pleased to announce the appointment of Dr. The Western Cape Government (WCG) Department of Environmental Affairs and Development Planning (DEA&DP) recently commissioned an assessment of the potential economic impacts of climate change to inform decision-making. A £9.2million research programme focused on improving evidence-based policy making to develop sustainable, productive, agricultural systems, resilient to climate change has been launched in Pretoria this week. Substantial post-harvest losses in cereals and other staple food crops contribute significantly to food, income and nutrition insecurity in Sub-Saharan Africa. In Sub-Saharan Africa, grains and legumes are considered important crops by farmers and rural households for personal and commercial use (Oluoch-Kosura, 2013). However, unacceptable levels of food loss continue to occur throughout the continent. First Malabo Biennial Report: Good Progress but More Remains to be done. Attainment of food, income and nutrition security in Sub-Saharan Africa remains curtailed by the inability of food producers, consumers, their national governments and other food value chain players to prevent staple food losses after harvest. Gender inequalities persist despite the increased recognition of women’s rights. FANRPAN Digest is a monthly report that is produced by the National Agricultural Marketing Council through the Agricultural Industry Trusts Division. From an increase of 38.7% in the second quarter, the Agricultural Industry continued to power ahead, expanding by 44.2% during the third quarter. This is the largest quarterly jump in agriculture production since the second quarter of 1996. Amid global concerns over rising food and fuel prices, changing diets and climate change, irrigated agriculture plays an important role in increasing food production in an uncertain and resource-constrained world. Climate change is already a reality. The latest assessment of the Intergovernmental Panel on Climate Change (IPCC) shows that global climate change is already damaging crops and undermining food production capacity in much of the world, particularly in poor countries. On 3 February 2015, the Financial and Fiscal Commission (the Commission) tabled at Parliament a report on Climate Change, Household Vulnerability and Climate Smart Agriculture: The Case of Two South African Provinces. Following the activities of the Global Program for Food Security (GPFS), the technical discussion workshop and the national dialogue on food standards/norms related to post-harvest management took place on 29-30 April 2015, at Kaya Kwanga Residential Hotel in Maputo. Research at the global level has shown that halving losses and waste along the food value-chain would save food resources equivalent to 25% of current agricultural production. Groundnuts form the basis for food and nutrition security for the majority of the smallholder farmers and are a vital component in the livelihoods of rural families. 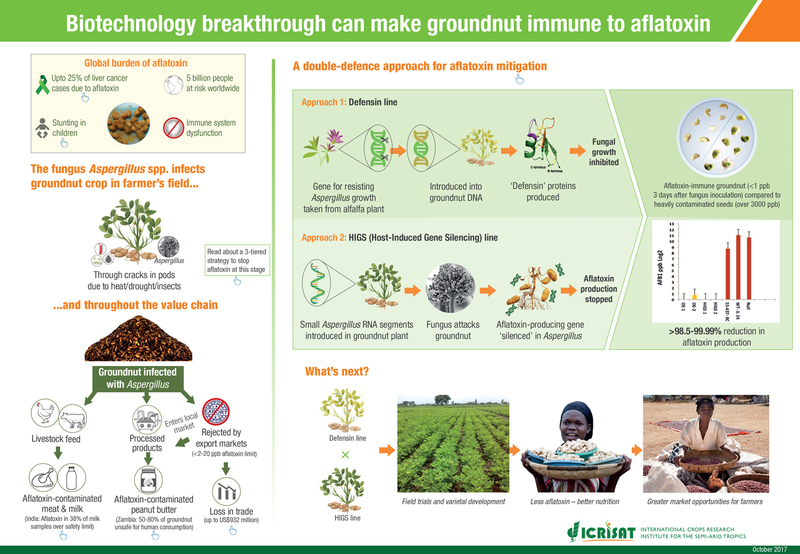 The challenge is that the groundnuts of these smallholder farmers are prone to Aflatoxin contamination. The Agriculture Sector in Sub-Saharan Africa (SSA) is characterized by poor post-harvest practices. Post-harvest losses (PHL) in SSA are the highest in the world (PHL) amounting to between 26% and 36%. Our first AgriDeal edition, published in September 2012, was dedicated to women that make a difference in Africa.